A Statement 42’ “Ultimate” vee-bottom high performance boat, powered by twin Mercury Racing 1,100-horsepower engines and boasting an eye-popping orange and green metallic paint scheme, was selected by director Michael Bay for use in the film. Filming took place last year on Miami’s Biscayne Bay. “We were initially contacted by the production company and began discussing available boats from the Statement high performance line,” explained Statement’s Josh Stickles. To be released by Paramount Pictures on April 26th, "Pain & Gain" is an action comedy starring Mark Wahlberg, Dwayne Johnson and Anthony Mackie based on the unbelievable true story of a group of personal trainers in 1990s Miami who, in pursuit of the American Dream, get caught up in a criminal enterprise that goes horribly wrong. Produced by Donald De Line, Michael Bay, Ian Bryce, Based on the Magazine Articles by Pete Collins. Screenplay by Christopher Markus & Stephen McFeely. Directed by Michael Bay. 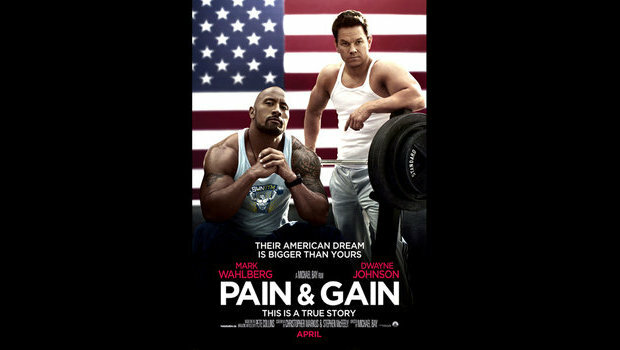 The official “Pain & Gain” movie trailer launched in December and included shots of the Statement boat in action. 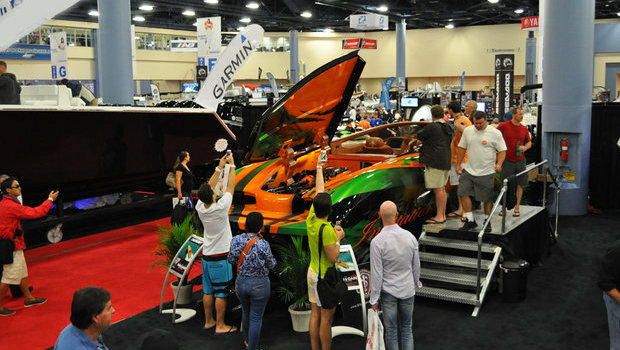 Those interested in seeing the boat used in “Pain & Gain” up close can visit Statement’s booth at the Miami International Boat Show, which runs from February 14th-18th at the Miami Beach Convention Center. Launched in 2008, Statement Marine, LLC has quickly established itself as an innovator in high performance boating with its substantial investment in product development and its prominent boat show and poker run presence. At its state of the art 40,000-square foot manufacturing facility in St. Petersburg, Florida, Statement manufactures virtually all major components in-house, and prides itself on superlative quality, fit, and finish.